Classic BULL market UP day: pullback early, then gradual up moves with pull-backs, until final closing rally. SPX closed over the 2710/14 resistance and is ready to challenge the 200ma @ 2741. Both IT & ST are long but the topping process in now underway with SPX 2760 targeted as max level in this V-shaped rally since December 24 last year. OH, HELLO BULLS 17 of the first 23 $SPX trading days of 2019 have been positive. That (or better) hasn't happened since 1976. 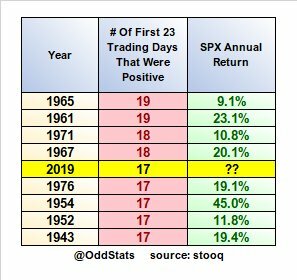 Want to know how every year did (since 1923) with at least 17 positive days out of the first 23? Sorry, bears. 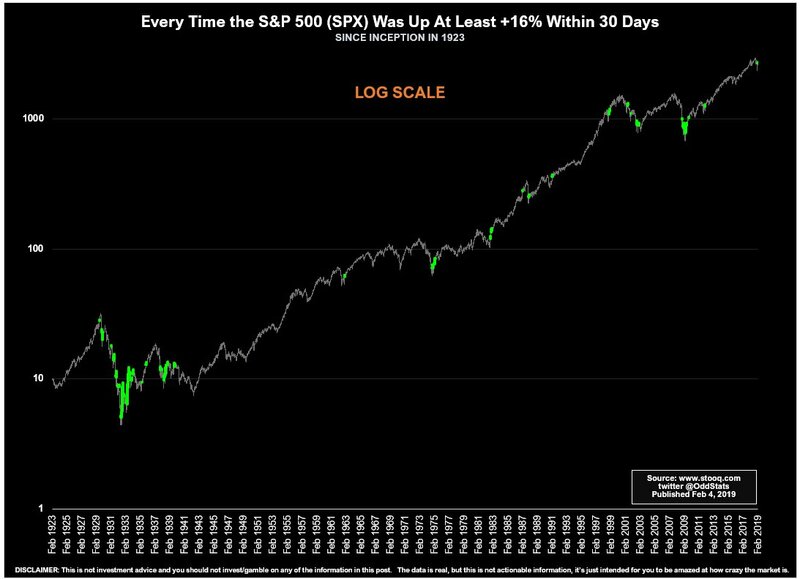 The S&P 500 is now up at least +16% in the last 30 trading days (from an intraday low). 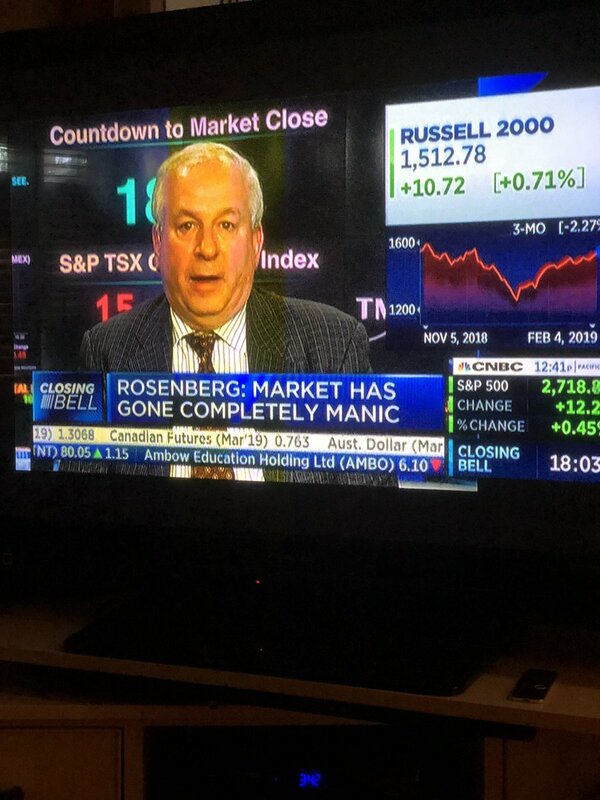 That HAS to be bullish for $SPX, right? Not necessarily. A lot of times it certainly is. Some times, it's just a big ol' bull trap. The worst December since 1931 followed by the best January since 1987. One should know that the Dec. 1931 setback was followed by a brief but sharp 20% bounce. And as for Jan. 1987, the only month people remember from that year was October. McC Osc Divergence, yeah, but that SUMMATION INDEX is powering ahead! Edited by dTraderB, 04 February 2019 - 07:57 PM. Edited by redfoliage2, 05 February 2019 - 03:51 PM. June if I dont do the rest well.